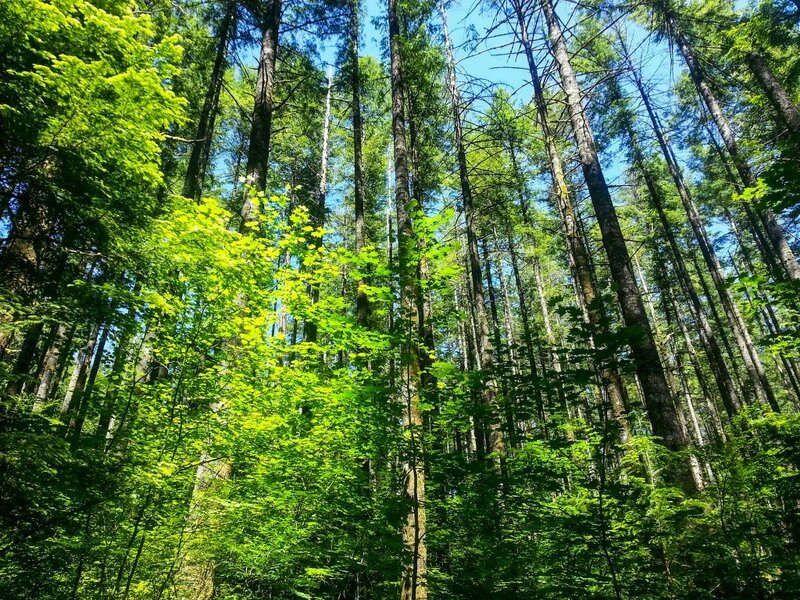 Washington State has so much wilderness and nature to explore from rain-forests to coastline and from mountains to desert! Exploring nature is one of the best things you can do for your body both physically and mentally. Hiking burns calories while providing fresh air and connection to nature that is often missing in today’s society. In all of the trails and places I’ve explored, Rattlesnake Ridge Ledge has one of the most epic viewpoints. I even put it on my list of 7 Best Hikes Near Seattle. This trail has iconic northwestern viewpoints and wilderness along the route. Large mossy boulders and tall straight evergreens line the way. At about 1.9 miles into the journey you will come to a wooden sign. Rattlesnake ledge is about 100 yards to the right of this sign. It is a must see! Be careful as you take in the view as a trip or stumble near the edge could lead to disaster. This spot is perfect for lunch. After taking in the view from here you can head back down to the parking lot or head back to the wooden sign and up the other way for an additional short hike to middle and upper ledge for a different view and to look down at where you just were. Rattlesnake Ridge is easy to get to with loads of parking and beautiful vistas. So on a sunny weekend be prepared to see many folks and dogs on the trail and at the lake below. Parking in the park may be difficult and you may need to park on the street. On the plus side this trail does not require a park pass or permit. 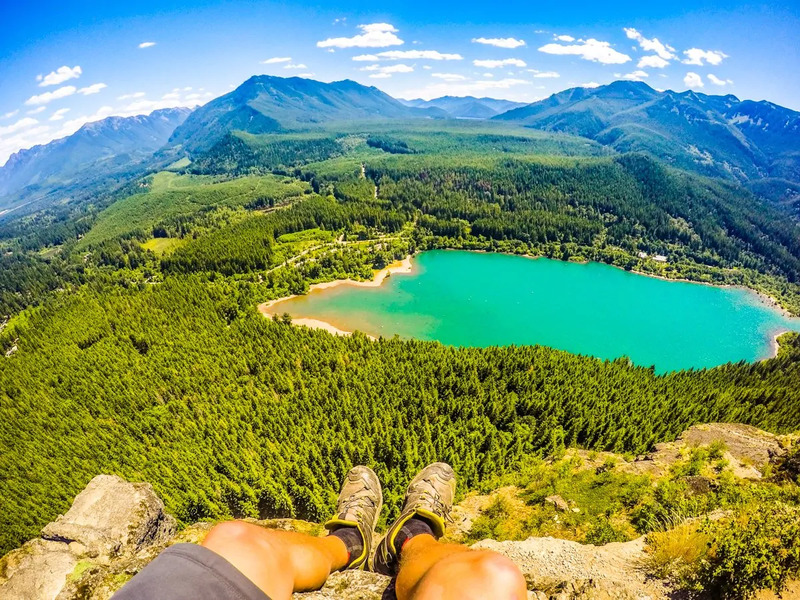 So make your way to Rattlesnake Ridge this summer, burn some calories and take in one of the northwest’s best views especially with a GoPro. See you on the trail! Need help with fitness? Check out our Fitness Training Services including the Online Workout Database, Online Fitness Training and Online Fitness Consultation. Check out our Resources page and other articles on our blog feed as well.